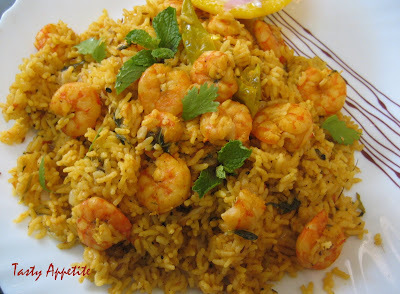 Today, I’m sharing with you the delicious Shrimp / Prawn biryani recipe. Sea food lovers will enjoy this dish for sure. This is one of my favorite biryani of all the biryanies. 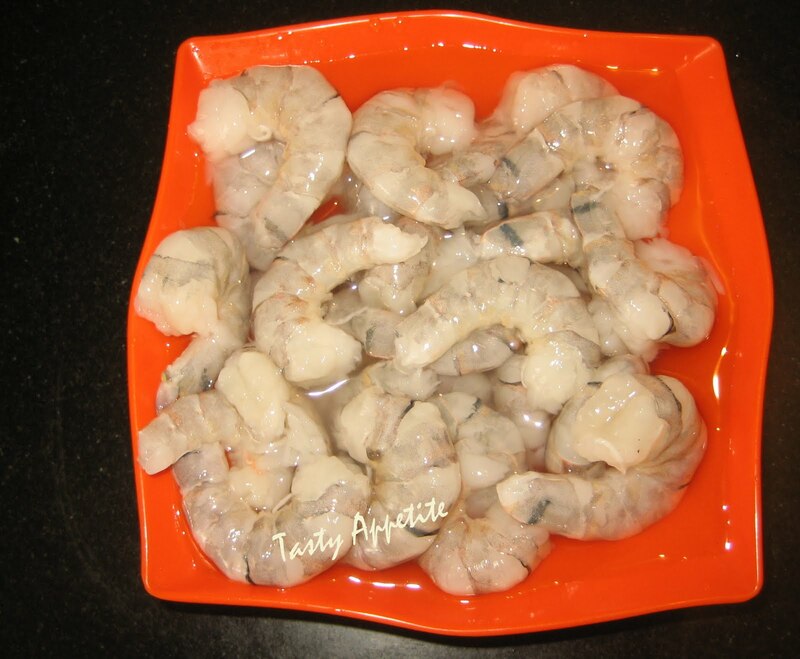 We know Prawns are very healthy food with lots of nutritional values. They’re very good for curing eye and heart related problems. Prawn Biryani ( Also known as Jhinga Biryani ) is usually prepared on special occasions like marriage, get-together parties, etc. This rice dish is extremely easy to prepare. 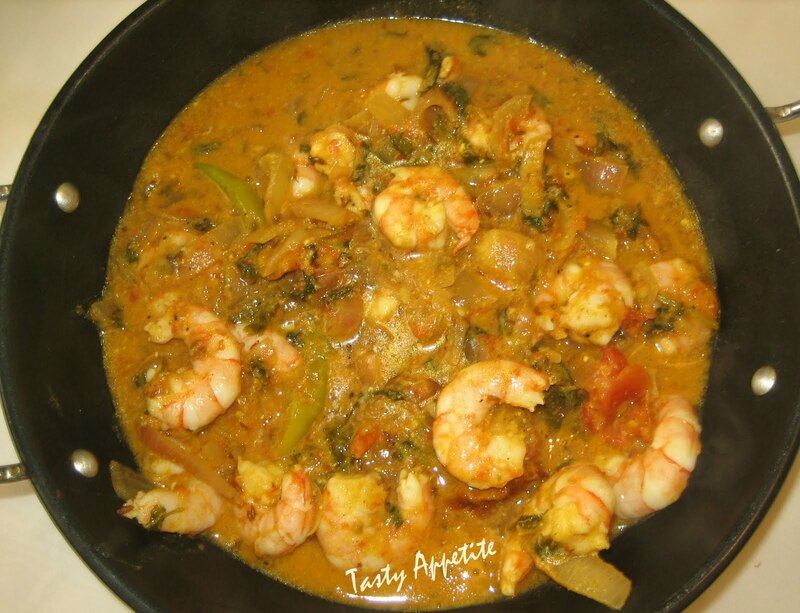 In this recipe, the fresh prawns are cooked with tomato, onion, rice, chillies and spices. 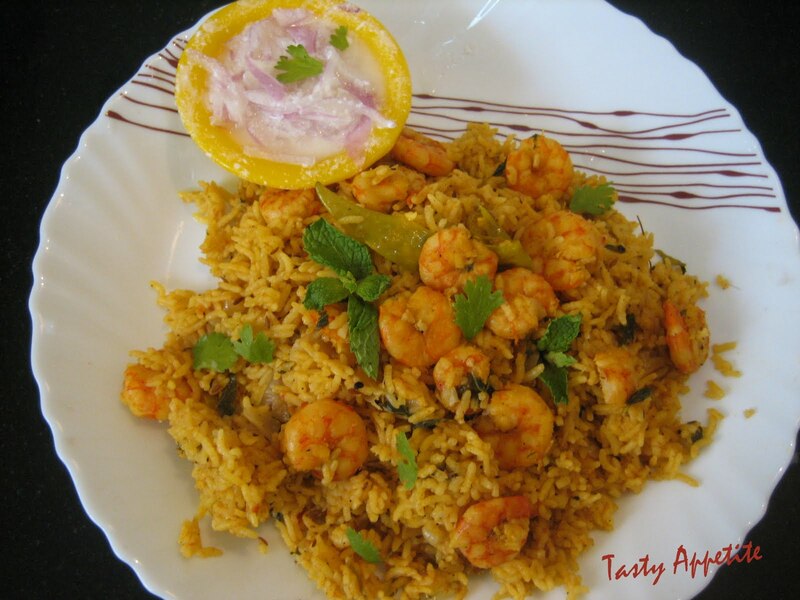 Here goes the recipe to cook this luscious and irresistible biryani at your home..! 1. Devein and wash the prawns in running water. 2. Marinate with turmeric pwd, red chilly pwd and salt for 20 mins. 3. Wash rice and soak in water for 5 to 10 mins. 5. Heat oil in a large pan. 6. Add the spices, onion and salt. 8. Add the ginger garlic paste and fry for 2 to 3 mins. 9. Add green chillies and chopped tomato. 10. Fry till the tomatoes are well cooked. 11. Add chopped coriander and mint leaves. 13. Add yoghurd and combine. 14. 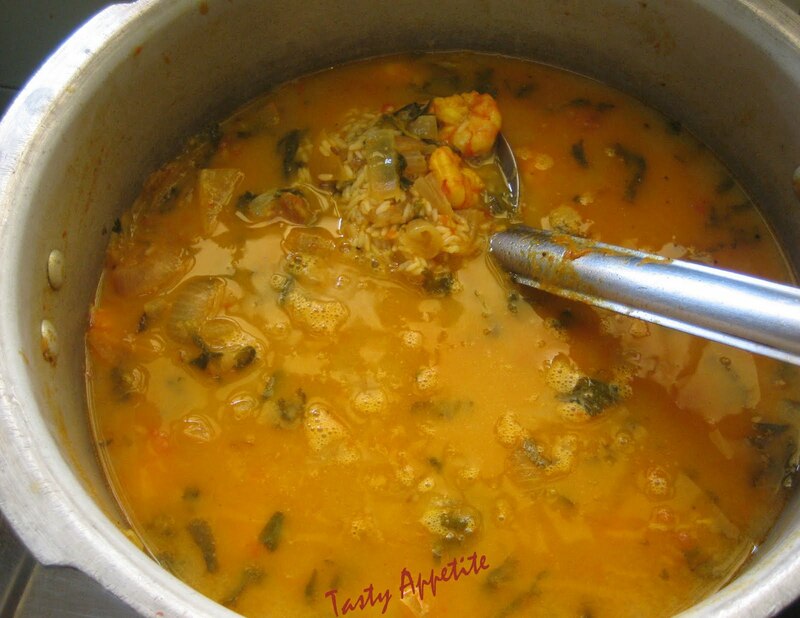 Add red chilly pwd and cook for a few mins. 15. Now add the marinated prawns and mix well. 16. Add rice, combine and check for salt and seasonings. 18. Once the pressure turns off, open the lid. 19. Mix the biryani carefully, making sure the rice does not break. 20. Garnish with few sprigs of coriander leaves. Shrimp biryani! It's to die for. I love the flavours and colors in this recipe. hi jay, i simply love flavored rice. your prawn briyani looks so delicious, will try this. thanks so much. thanks for the awesome flowers card cooking varieties..! Prawn biriyani looks tempting and yumm. Yummy briyani, seriously drooling here.. Seriously Jay this looks irresistible...I have some prawns in my freezer and I am making them tomorrow. I love it, love shrimp a lot. I';; try this recipe! 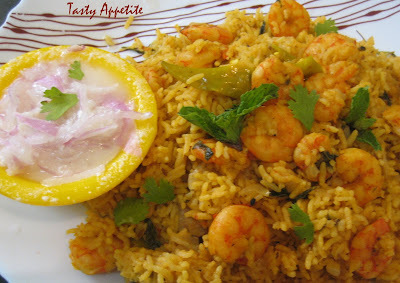 Most drool worthy prawns biryani,loving it. Prawns - what a treat! Amazing biryani recipe. I am sure that it would have tasted heaven. Just bought a package of prawns and this dish looks great to use them in! yummy biriyani..looks superb,pass me the platter! According to ingredients, this dish must be very tasty. Love prawns! In my blog, they expect a triple award, come when you see fit. Happy to followu too !! Hi there. I was wondering whether you would like to link this in to Food on Friday: Prawns and Shrimp and other spicy stuff. This is the link . You did some time ago link in a great dish to Food on Friday: Fish and seafood. I now realize that I haven't been following your blog. Sorry about that. I have signed up to follow now. It would be great if you followed Carole's Chatter back. Have a super week. How many cups water we need?